Trans Canada Trail — RandallAnthony Communications Inc. Since 2011, we have been proud to publish annual special features in co-operation with The Trans Canada Trail and help raise awareness of this unparalleled network of trails stretching 22,500 kilometres from the Atlantic to the Pacific to the Arctic Oceans, linking 1,000 communities and 34 million Canadians. These annual reports drive home the tremendous significance of The Great Trail through inspiring articles, stunning imagery, donor profiles and commentary from esteemed Canadians who have lent their support to this worthy nation-building effort. As a result, more Canadians today know about the Trail and are providing the funding support needed to sustain the Trail for generations to come. 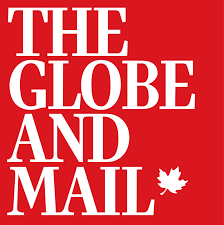 Since 2014, we have further enhanced these Globe and Mail campaigns through our creation and deployment of robust campaign websites where we host content including articles, videos, photo galleries, donation pop-ups and more. More importantly, through digital and social media activities, we drive viewer engagement that in as few as 6 weeks consistently yields tens of thousands of page views, thousands of article shares, and an astonishing bounce rate of less than 4%.